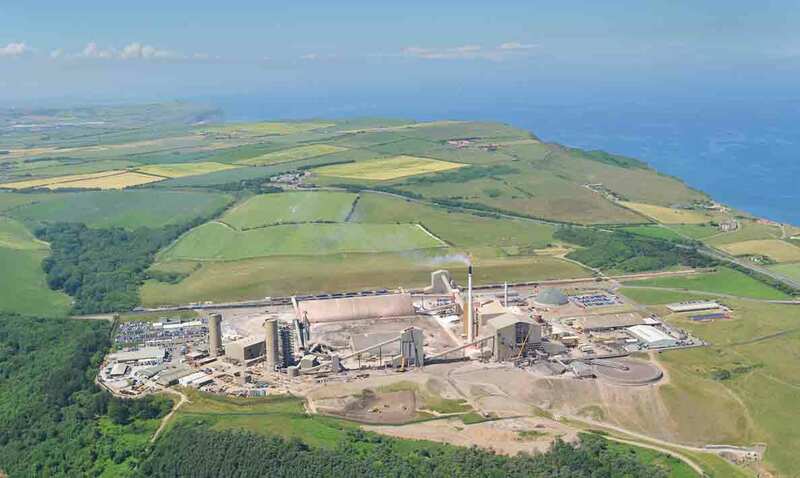 The successful installation of replacement Headgear has recently been completed at Cleveland Potash's Boulby Mine by Qualter Hall. Cleveland Potash Ltd, which owns Boulby Mine, awarded this major turnkey contract to renew the Headgear to Qualter Hall, back in December 2011. The Headgear and associated equipment was constructed by Qualter Hall on site, adjacent to the existing tower during 2012. 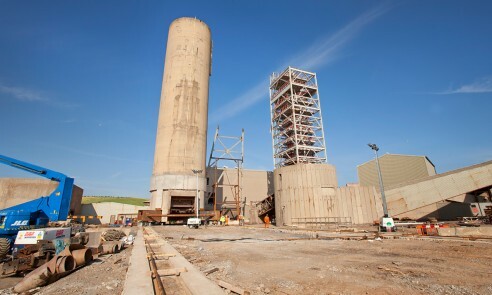 Final installation, which has just taken place, was always scheduled for the mine holiday shutdown during August/September 2013, so as not to interrupt vital production time. 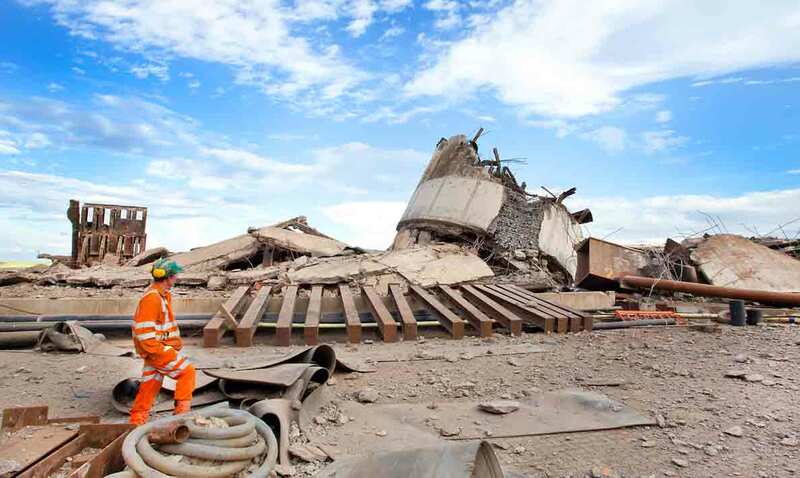 Qualter Hall has used a highly specialised fast-build procedure, involving jacking and then sliding out the old structure, a 50 metre tall, 2700 tonne concrete headgear, on polished stainless steel slide paths initially 25 metres south and then a further 50 metres east away from the shaft, where it was then successfully demolished on 5 August 2013. 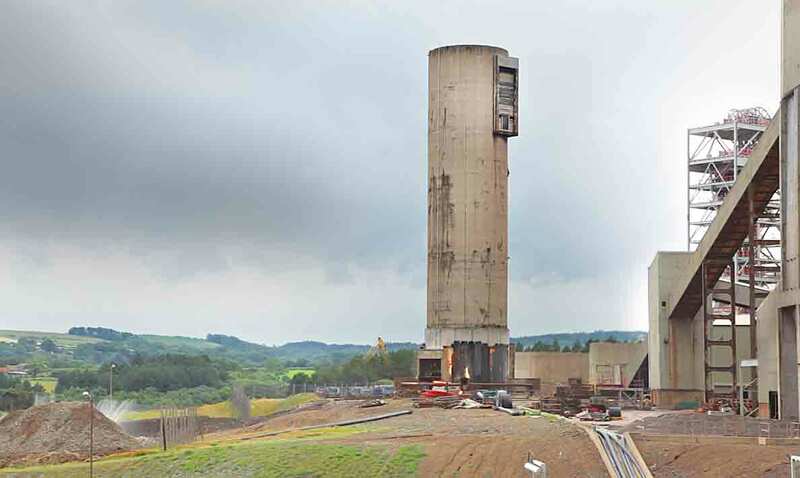 Prior to the demolition of the old structure the new 700 tonne steel Headgear, which was pre-built on slide paths about 20m from the shaft, was slid into its final position over the shaft, ready for completion and making fully operational during the remaining holiday shutdown period. 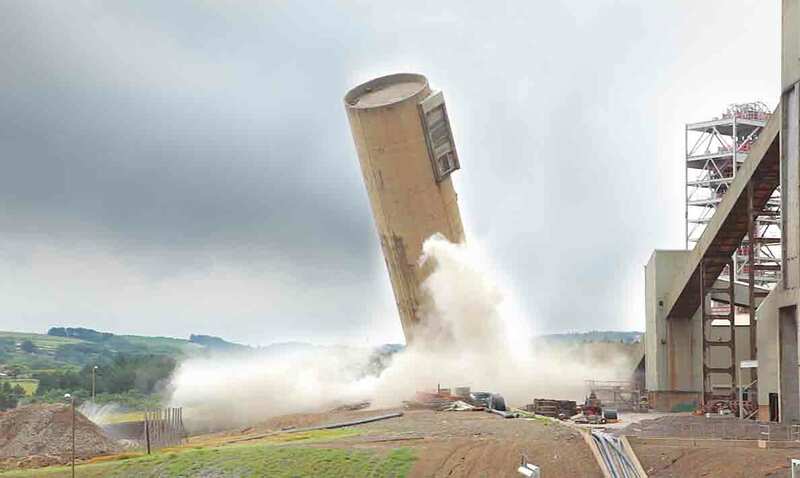 Finally, a new concrete tower shroud will be built around the new steel Headgear, for aesthetic planning reasons and also to act as an airlock building for future mine plans. 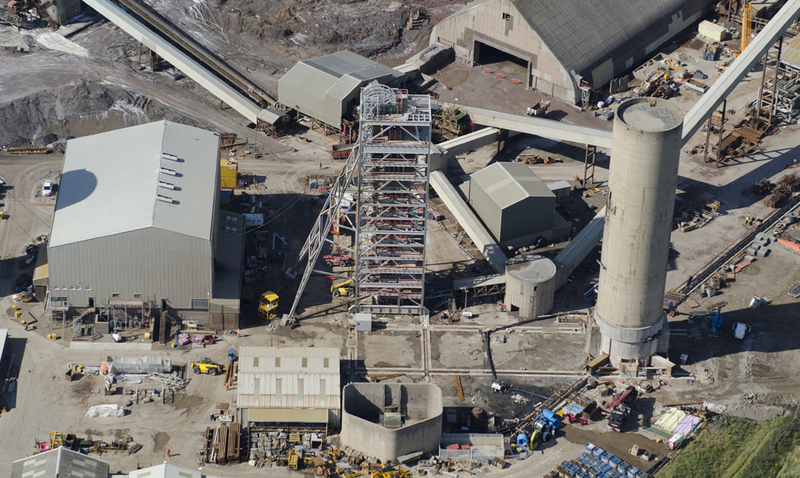 The scope of Qualter Hall's turnkey works has been extensive and has involved the design, build and installation of the new 50m high Headgear structure along with four 6.2 diameter Headgear pulleys, two 23 tonne capacity skips, skip operating gear, receiving hopper, load out conveyor, gantry, shaft cover, safety systems and all associated pneumatic/electrical equipment including shaft communications and interlocks. Qualter Hall is also responsible for the civil works and foundations, concrete outer tower, airlock arrangement and demolition of the old concrete Headgear structure. Cleveland Potash Ltd currently supplies around 55% - 65% of the UK's potash consumption from its Boulby mine, which has been operating since 1973 and which is currently the UK's only potash mine. Employing over 1000 people, it is located in the stunning landscape of the North Yorkshire Moors on the northeast coast of England. 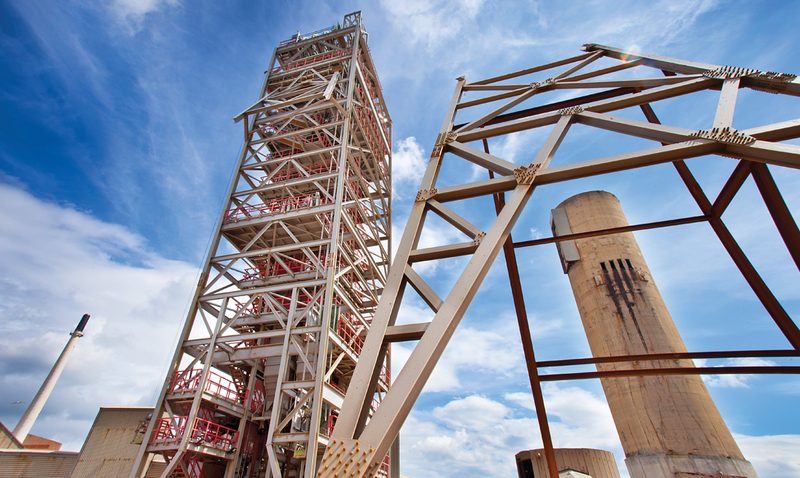 Workings extend down to over 1300m below ground level and as far as 12km out underneath the North Sea. 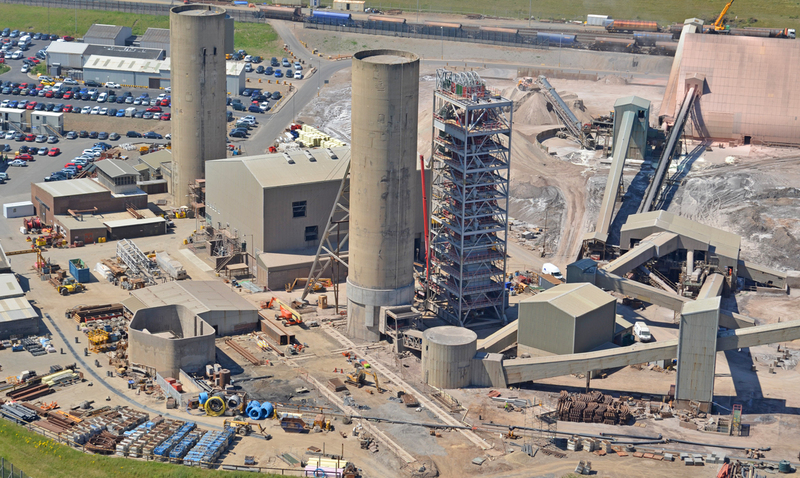 'The installation of the new rockshaft tower is a key element in the £300M major investment programme now underway at Boulby which will allow us to extend the life of the mine for potentially decades to come. 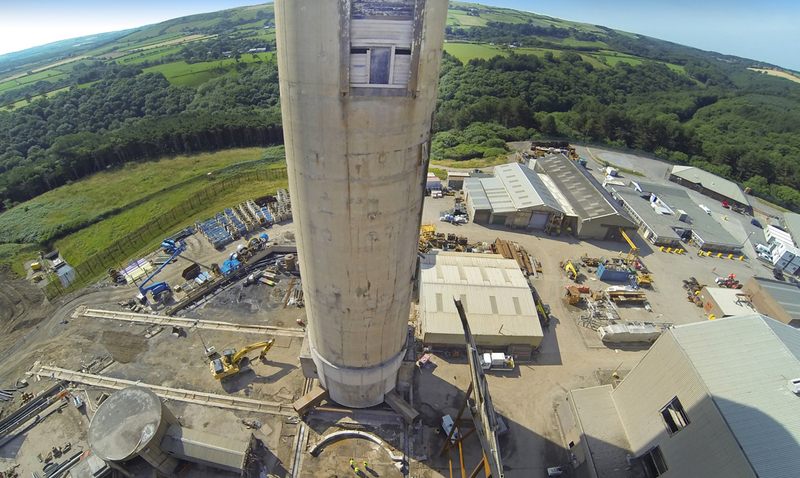 The old tower was one of the first structures to be built when work began at Boulby in 1969 and the operation to install its replacement has been a highly complex undertaking. 'The project, being quite unique, is certainly an engineering challenge and is a credit to all concerned, particularly the meticulous design, planning and execution of all aspects of the project.